Did you know that, if improperly disposed of, one gallon of motor oil has the potential to contaminate one million gallons of drinking water? That’s a year’s supply of water for 50 people! Businesses and government entities have taken steps to re-use as much waste oil as possible rather than allowing it to simply "go to waste" while also becoming an environmental hazard. Used oil is all too often improperly disposed and makes its way into storm drains and waterways, causing serious contamination to our water supply. Well, you probably won't save the entire world, but you can play a small yet necessary part at your home. We must think before improper disposal of the waste motor oil to the environment. How is the idea of saving your energy bill using waste motor oil? Sounds funny, but that made it possible by a retired engineer in Norwich! 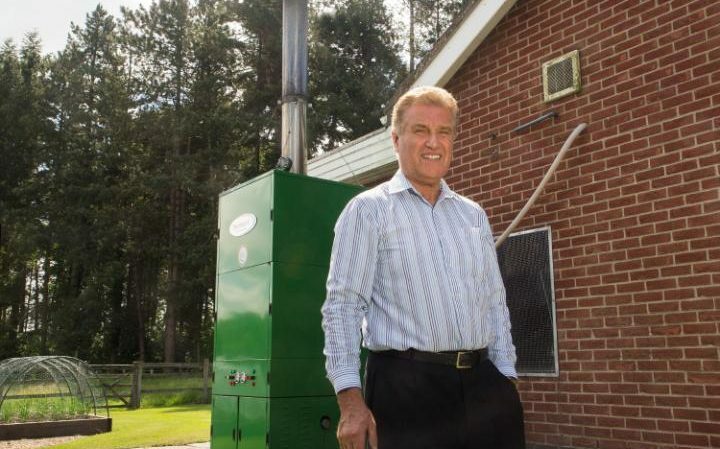 A new DIY boiler Invented by a 71 year old retired engineer Trevor Pimlott, this boiler runs on waste motor oil which he gets from the local garages to heat his six-bed home and keeps his pool at 32 degrees! It’s a new of saving money which reduces your energy bill and helps the environment simultaneously. The elimination of the need to pay for and hassle with waste-oil disposal regulations is yet another motivation for people and businesses to take advantage of these waste-oil powered boilers. To get rid-off his expensive heating bills, he decided to do something unique and innovative environment friendly solution to the problem. He invented an entirely new boiler system which cost him £20,000 to develop and he estimates that the boiler would cost around £11,000 for someone else to install. “My home was costing me thousands to heat and I began to think that I could invent a boiler that would run on waste oil. It’s been running for three years with no issues, which means I’ve had three years of free heating” says Trevor. The operation is also simple! Every morning he clears some ash from boiler and manually starts the boiler that runs for up to 15 hours a day.